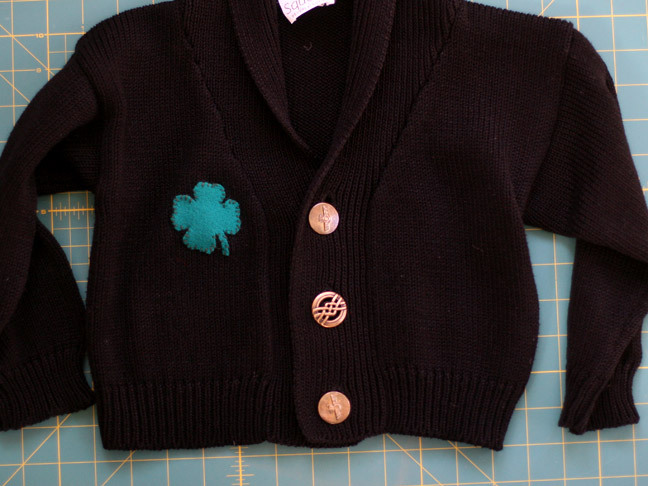 Show a little shamrock festivity on St. Patrick’s Day and add a simple four leaf clover appliqué embellishment to your cardigan (and avoid getting pinched!). 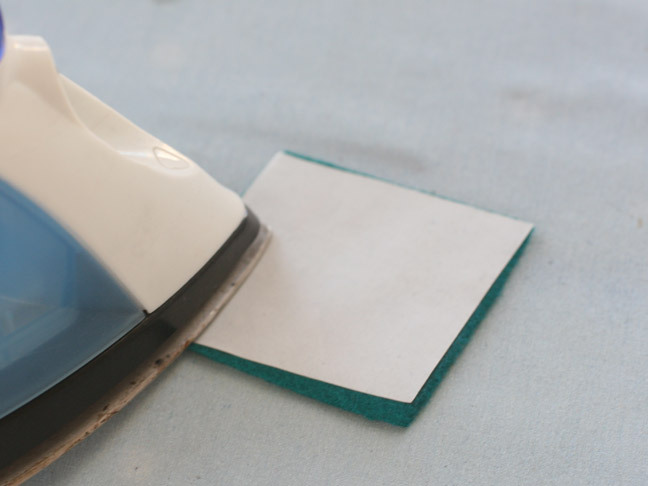 It’s easy to add and easy to remove afterwards if you’d like. 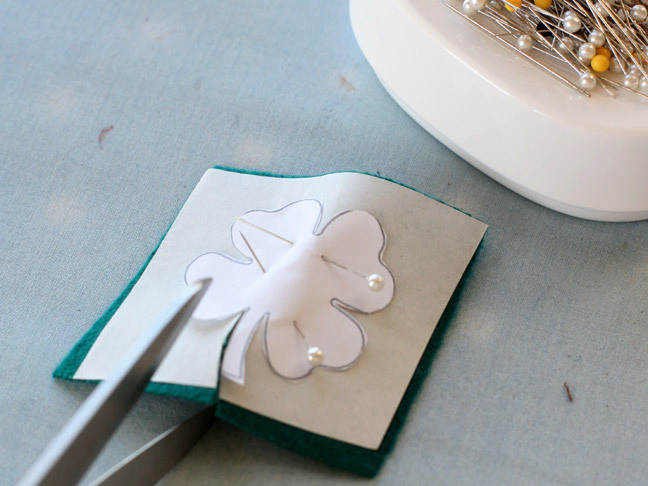 You can use this same technique to make your own stylish appliqué year round. 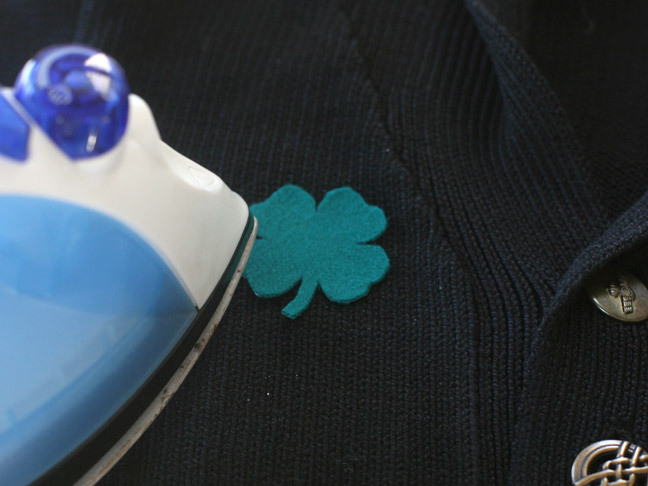 Iron a piece of iron-on adhesive to a square of green felt, slightly larger than the clover shape you have printed out. 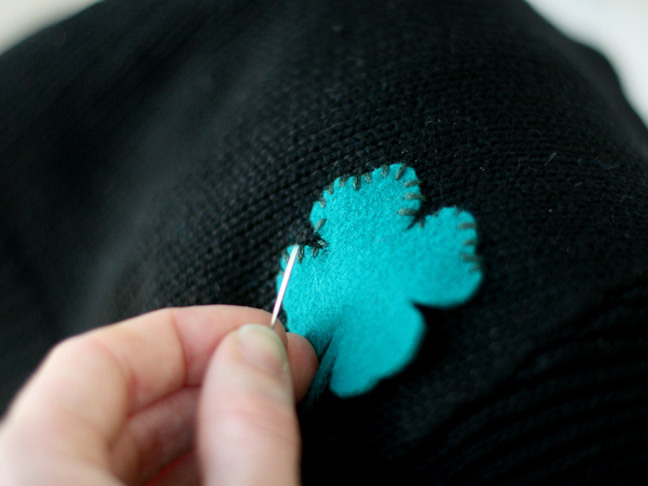 Pin clover shape to the felt with iron on adhesive and carefully cut it out. 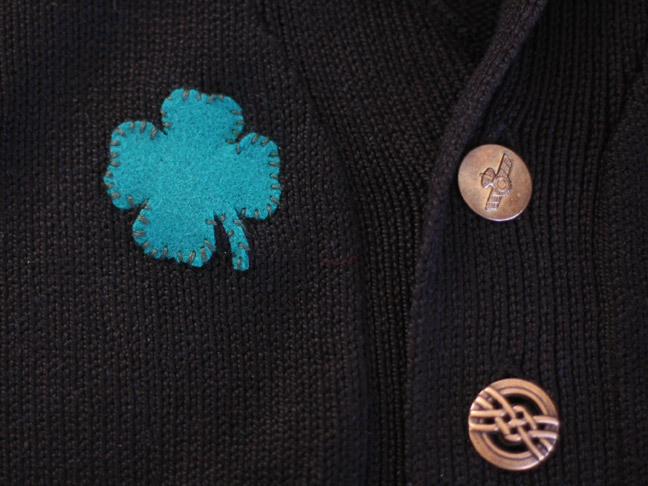 With your embroidery thread and needle, stitch the clover onto the sweater using large strokes. 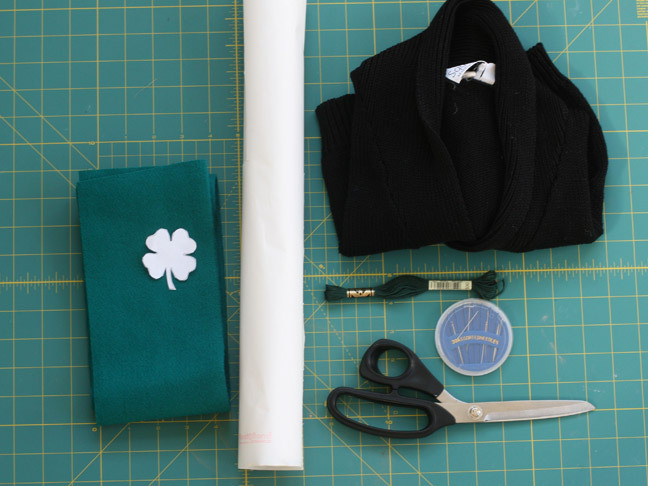 It’s a cute wool appliqué embellishment, but if you don’t feel like celebrating St. Patrick’s Day all year round, you can snip the embroidery stitches around the clover and peel it off afterwards. Keep appliqué for next year!